Since starting a direct primary care (DPC) practice nearly three years ago, I’ve become accustomed to skepticism and even the occasional criticism. Given the status quo, I understand it’s difficult for some to envision a model that could be better for family physicians and our patients than traditional fee-for-service practice. Two common concerns about DPC have emerged during my conversations with fellow docs, and those concerns were reflected in the comments on a recent AAFP News article on the topic. I will try to address both issues here. Affordability should be of concern to all physicians. One of my chief motivations for starting a DPC practice was to serve patients who I saw struggling to afford care in the standard fee-for-service practice. Most DPC docs I know report the same. It is our current mish-mash of public and private managed care — not DPC — that has inflated health care costs for all parties. Although employers and governments can (for now) subsidize absurdly high premiums for some individuals, having coverage doesn’t automatically equate to being able to afford care. For many of those with insurance plans, meeting out-of-pocket costs remains a big burden. I routinely see patients with insurance who tell me they avoided seeking primary care — often at their peril — for years because of high or uncertain out-of-pocket costs. I suspect hurried physicians, shielded by their billing departments, do not always hear these concerns from patients directly. It’s easy to overlook the unseen. Some media outlets and critics of the DPC model have offered examples of docs charging higher “concierge” rates. In reality, there is a wide range of DPC “retainer” fees, with most being between $30 and $150 per member per month. Newer and quickly growing DPC practices typically charge prices at the lower end of that spectrum. My average membership fee is about $42 per member per month, and many families pay less than $30 per member per month. 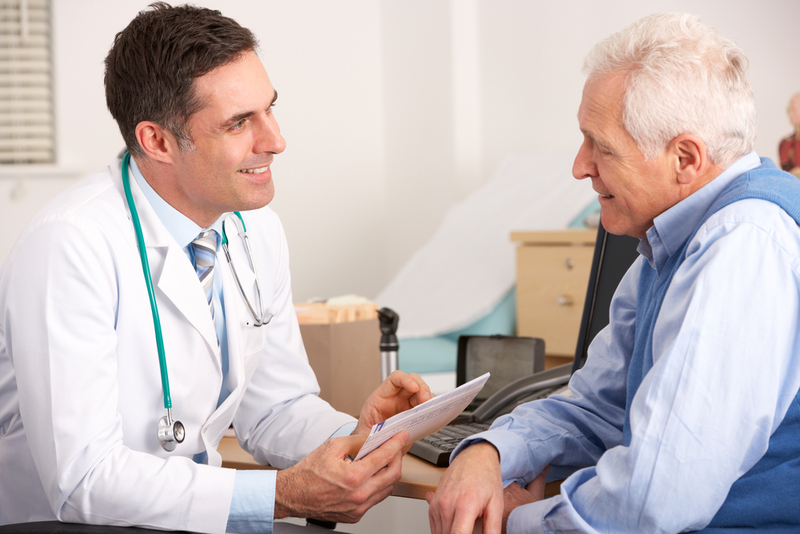 Most DPC docs return that value to patients in a number of ways. Being membership-supported — and not needing to make a profit on ancillary services — we can offer drastic discounts on labs, diagnostic testing, medications, procedures and more. Just last week, I was able to provide nine doses of sumatriptan to a new patient for $8.12. She had previously been paying more than $100 per month through her insurance for the same amount of the drug. I also recently managed a forearm fracture in an uninsured patient for a total cost of $45 ($10 for a splint, $25 for an X-ray, and $10 for cast a few days later). These patients certainly don’t think our membership fee is unaffordable. Many of my patients, including those with insurance, save more money on these ancillary services (versus traditional prices) than they pay for their membership each month. And they get unlimited visits with their personal physician without copays. With improving technology, scalable models and use of physician extenders, I believe DPC membership prices can and will continue to trend even lower. What level of DPC pricing would be low enough to deem it universally affordable? I rarely hear critics give an acceptable dollar figure. I recognize some people may struggle to afford even $10 per month, but does this sad reality invalidate the entire concept of DPC? Many critics often jump to the conclusion that direct payment models are proposing abolishment of all forms of government assistance for health care. This certainly does not need to be the case. In the past year, there have been some creative partnerships in payment models to support DPC. Qliance in Washington is caring for members of a private Medicaid managed care plan. Iora Health is providing care to Medicare Part D members in Phoenix. Turntable Health in Las Vegas is available to all members of the exchange-subsidized Nevada Health Co-op. Many employers and unions have also opted to support quality primary care using DPC across the country. Regardless of whether these payer partnerships represent the best way to organize things, they do show that third parties can help individuals and families secure access to DPC. Alternatively, we could also allow individuals receiving government assistance to control a portion of that money directly to purchase routine care how they see fit. Finally, let’s not forget the fact that many primary care docs are juggling too many patients and too much paperwork, which itself has profound downstream impacts on our expensive system. I realize there will not be a simple fix to our health costs, but higher-quality primary care must be a part of that solution. I haven’t seen any other solution that fits that requirement better than DPC. Our national shortage of primary care physicians was created by decades of perverse incentives. Despite numerous carrots and sticks, there is no significant reversal of that trend. Intuition may dictate that physicians taking on smaller patient panels in a DPC model will exacerbate this problem, but that’s not the whole story. I’ve heard DPC critics claim that docs taking “only 600 patients are abandoning other patients” (previous or potential). From my perspective, however, this is an odd critique, given that virtually every doctor in traditional insurance-based practice must also close his or her practice to new patients at some point. Some primary care physicians stop taking new patients at 2,000 active patients, and others take on more than 4,000. Is the doctor with a smaller panel of 2,000 abandoning patients? In other words, what is an ethically “sufficient” panel size for a primary care physician? And who should be the arbiter of this theoretical obligation? I trust individual physicians to make that decision for themselves. We all know that overburdened family physicians are retiring early or finding nonclinical positions. I have met a number of burned out colleagues who are considering both options, but DPC has given them some hope of continuing clinical practice. For my part, I would posit that a doctor who still actively cares for 600 to 1,000 patients per year provides more value to the health care system than one in retirement. Regardless of how few or how many patients we each take on, ultimately, the only long-term solution is for more students to choose primary care and have long careers. Medical students contact me regularly and tell me that the promise of DPC is what is encouraging them to enter or consider family medicine. Given that choosing between primary care and subspecialty care is a zero sum game, if DPC tips the balance in our favor, I think we can all agree that patients are better off. W. Ryan Neuhofel is a family physician and owner, NeuCare Family Medicine. This article originally appeared in the AAFP’s Fresh Perspectives. < Previous post She died thirsty! Ice chips matter when it comes to patient satisfaction.